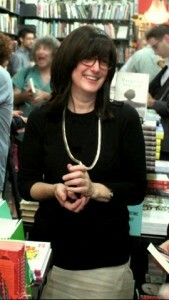 Suri Rosen is the author of Playing with Matches, a charming young adult novel about Raina Resnick, a 16 year old matchmaker. 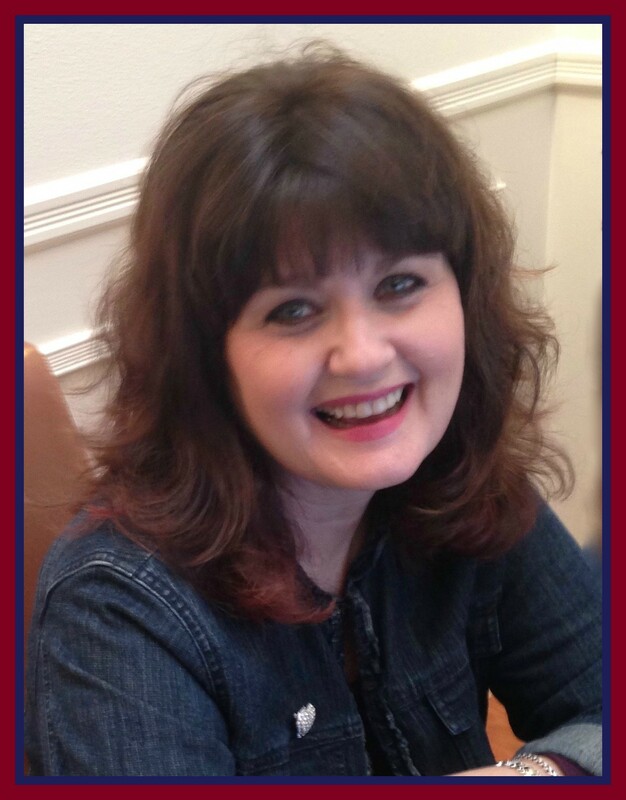 Raina’s story is heartwarming and compelling – a wonderful debut novel. In addition to writing, Suri has worked as a professional artist, art teacher, filmmaker, journalist, and mini-documentary producer for a local television station. Suri lives in Toronto, Ontario. I’m so excited to chat with Suri about her new book. 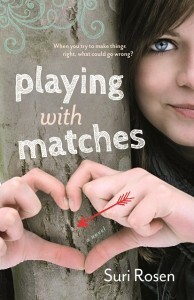 What was your inspiration for the main character Raina, in Playing with Matches? Raina is a Red Sox fan. Are you a baseball fan? No! I was just really intrigued by the idea of using baseball as a symbol and as a language. Raina was constantly being uprooted throughout her childhood because of her father’s work, so for her, the Red Sox had a deeper meaning – stability and a sense of home. The fact that she was surrounded by so many Yankees fans at Aunt Mira’s house just made her life more miserable. As Bubby’s presence in subsequent drafts grew more important to the story, the Sox offered a whole added layer to her relationship with Raina. Baseball became a language for them and a way for Bubby to subtly advise Raina without really advising her. Sometimes the Curse of the Bambino is not just the Curse of the Bambino! Research is often important, even for fiction writers. What type of research was involved in writing in Playing with Matches? I actually did a fair amount of research. First, I went online to get a taste of dates gone wrong – like how bad could a blind date really be? (It turns out pretty bad.) In the end though, I didn’t use any of the stories that I read on the Internet. I found that inventing them was too much fun. The date-gone-wrong scene in the park – the one with the Porta-potty – was a complete joy of letting my imagination run wild! I’ll also admit to doing some digging about fashion designers. I’m kind of the anti-fashionista so I had to depend on a few teenage daughters in my household to advise me on that score. The other area of research had to do with the Red Sox. I initially tried to teach myself as much as possible about baseball and the Sox in particular. When Bubby became more prominent in the story though, one of my beta-readers (who happens to be from Rhode Island) stepped up to the plate (heh!) and helped me relate pivotal moments in the narrative to legendary events in Red Sox history. 4. Do you have a favorite scene in the book? I have a lot of favourite scenes. I do love that date-gone-wrong chapter, but I also am very fond of any of the scenes involving Bubby. And the dog, Bronx. What had been the most surprising or exciting part of having your first novel published? I’m kind of amazed by the number of readers who actually loved that Raina’s coming of age, doesn’t involve the attention of the high school hottie. I was surprised and pleased that so many readers recognized that her redemption is internally driven and the result of her own actions. 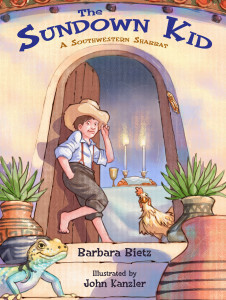 I was also excited by the range of readers who connected with the book, literally from pre-teens to seniors. A couple of men in their sixties told me that they cried at the resolution. I did that? To learn more about Suri and Playing with Matches, please visit www.SuriRosen.com. This entry was posted in Playing with Matches, Suri Rosen by admin. Bookmark the permalink. ← Previous Previous post: Sydney Taylor Book Awards 2015! 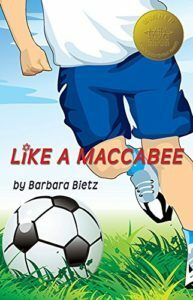 Copyright © 2019 Jewish Books For Kids. All Rights Reserved.